The US Justice Department has charged six Chinese nationals, including three who studied at the University of Southern California, with stealing trade secrets from US companies and using them to start a new venture with help from the Chinese government. The Justice Department issued a statement Tuesday announcing a 32-count indictment against the six Chinese citizens, one of whom – Tianjin University Professor Hao Zhang, 36 – was arrested on May 16 after entering the United States through Los Angeles International Airport. The other five individuals are believed to be in China, Reuters reported. According to the Justice Department, the indictment is related to an alleged years-long effort by Zhang and others to gain access to advanced technology developed in the US and replicate its creation in China. The tech in question is known as thin-film bulk acoustic resonator (FBAR), which is widely used in mobile devices such as smartphones, tablets and GPS systems. It also has military applications. While Zhang has been the only person arrested so far, the Justice Department stated that the case dates back to 2005, when Zhang and Chinese national Wei Pang, who is also charged in the indictment, graduated from the University of Southern California with electrical engineering degrees and took jobs with American technology companies. At USC, the two worked on FBAR technology under funding from the Pentagon’s Defense Advanced Research Projects Agency (DARPA). Zhang went on to work at Skyworks Solutions Inc. in Massachusetts, while Pang was employed at Avago Technologies in Colorado. Both worked as FBAR engineers. The indictment states that Zhang and Pang worked with other co-conspirators to steal "recipes, source code, specifications, presentations, design layouts," and other proprietary and confidential documents, according according to the Justice Department statement. These were allegedly handed over to officials at Tianjin University, which is run by the Chinese government. When Tianjin University agreed to build an FBAR production facility in China in 2009, later dubbed ROFS Microsystems, both Zhang and Pang resigned from their jobs in the US and became Tianjin professors, the Justice Department stated. “According to the charges in the indictment, the defendants leveraged their access to and knowledge of sensitive US technologies to illegally obtain and share US trade secrets with the [People's Republic of China]for economic advantage,”saidAssistant Attorney General for National Security John P. Carlinin a statement. One document cited in the indictment allegedly shows Pang emailing Zhang and one other individual, cautioning them not to check their personal emails at work since they could be tracked, the New York Times reported. Other emails reportedly detail plans to start a new company in China, while another is said to include a “stolen Avago design kit” related to chips. The other four individuals charged were identified as Jinping Chen, 41, a Tianjin professor and ROFS board member; Huisui Zhang, 34, a student who studied with Pang and Zhang at USC; Chong Zhou, 26, an ROFS design engineer; and Zhao Gang, 39, ROFS’ general manager. These six indictments are the latest in a growing effort by the US government to charge those it believes are connected to economic espionage backed by the Chinese government. Last year, five members of the Chinese military were indicted on charges of hacking into six American companies involved in nuclear power, solar energy and metals. None of those individuals have been arrested or seen in court, however – a reminder that attempts to bring Chinese nationals to trial in the US remain challenging. Accusations and charges of economic espionage have angered China in the past and are likely to again. 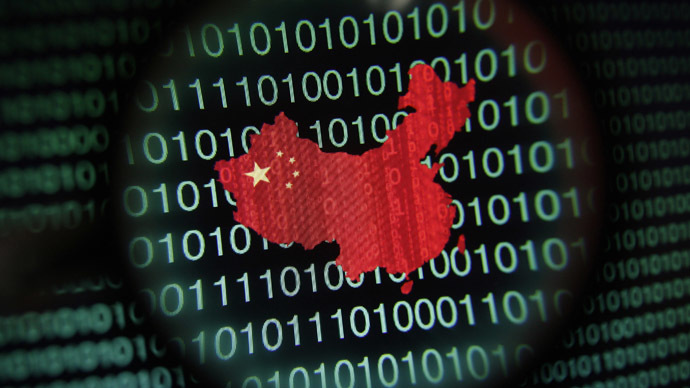 Both the US and China accuse each other of widespread cyberattacks and economic subversions.